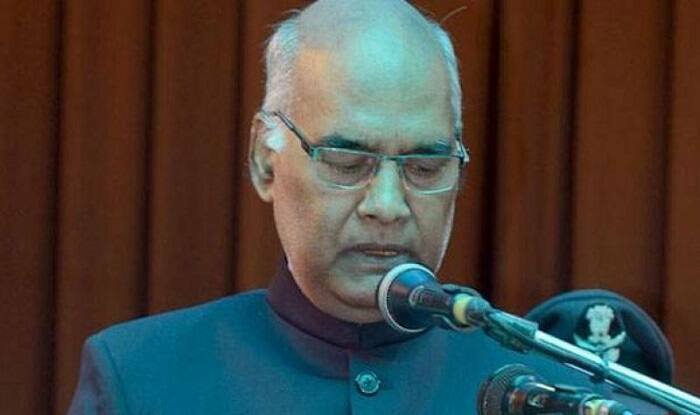 New Delhi, Sep 30: President Ram Nath Kovind on Saturday approved the appointment of Governors to five states and Lieutenant Governor to one union territory. 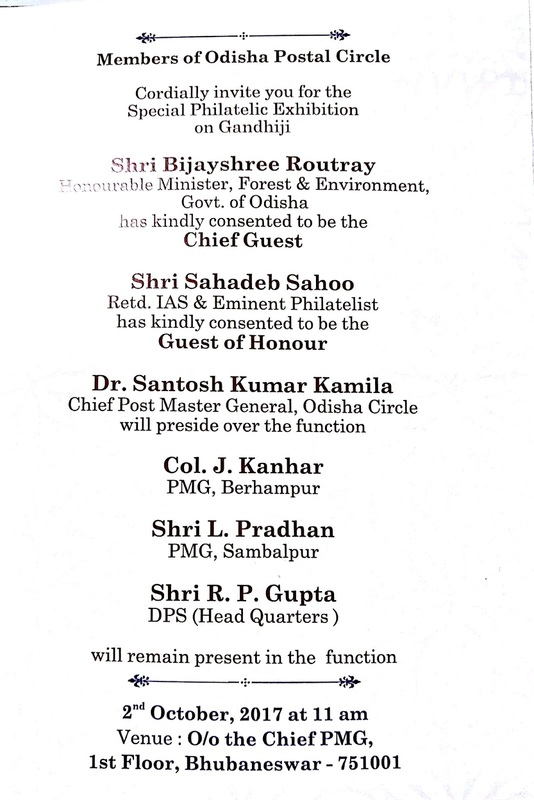 Here are brief profiles of the new appointees to the top constitutional posts. 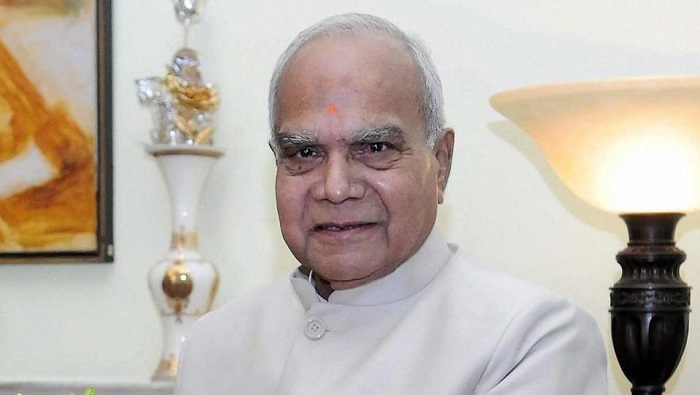 The appointment of a full-time Governor to Bihar fell due following the nomination of Ram Nath Kovind for the President’s post in July. The new appointee – Malik – has a deep political career, being associated with the BJP for nearly four decades. He has served as the party’s national vice president. 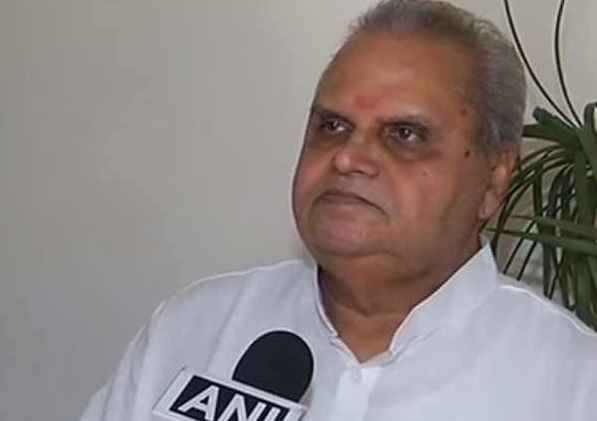 In terms of parliamentary experience, Malik was a two-time Rajya Sabha MP, and has also served as the Union Minister of State for Parliamentary Affairs and Tourism under the government of Atal Bihari Vajpayee. 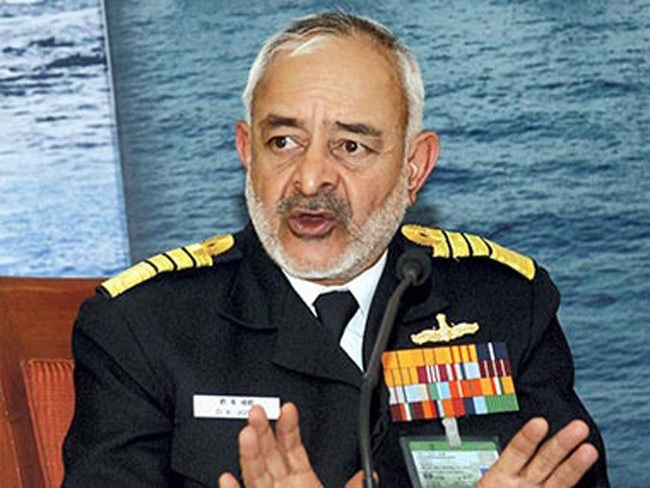 Admiral (retd) Joshi was the chief of naval staff between 2012 to 2014, subsequent to which he retired. For his services, he has been awarded with the ati vishist seva medal, yudh seva medal, nau sena medal and the vishist seva medal. He also holds the experience of commanding the Vizag-based eastern fleet of the Indian Navy. 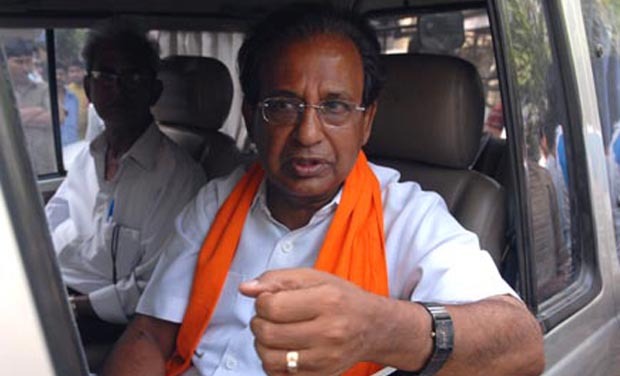 Prof Jagdesh Mukhi, one of the tallest politicians of Delhi-NCR, was appointed as the Assam Governor. Mukhi’s career in active politics dates back to the anti-emergency agitation. 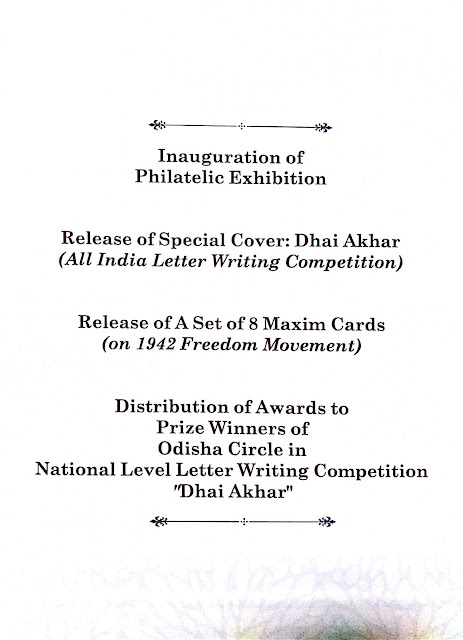 He was first elected to the Delhi legislative assembly in 1980, from the Janakpuri seat. Mukhi represented the constituency for seven consecutive terms. 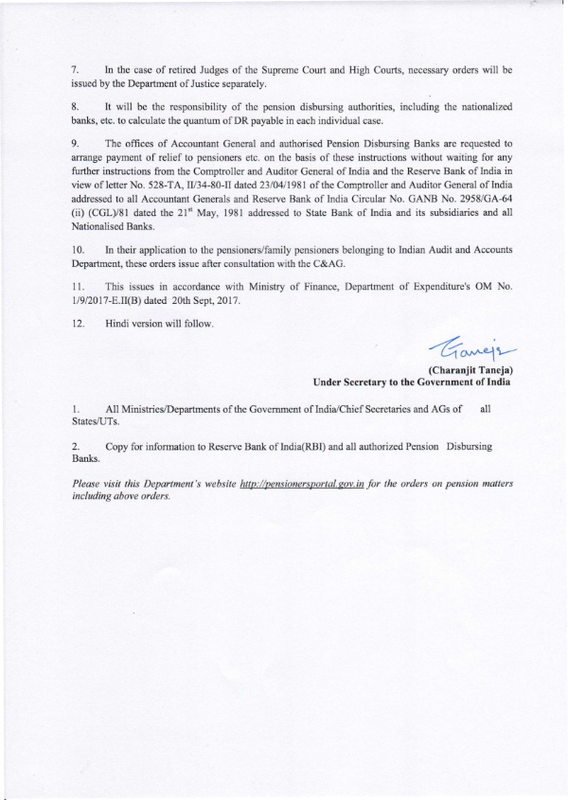 Under the BJP government in the national capital, he held the ministries of finance, planning, taxation and excise. From 1998 to 2008, he served as the leader of opposition. Prasad, a veteran BJP leader, hails from Bihar. He was first elected to the state’s legislative council in 1994. He continued to remain an MLC for 18 years, till 2012. During his stint in the state’s upper house, Prasad served as BJP’s legislative leader for a short term, after which the party appointed him as the deputy leader. 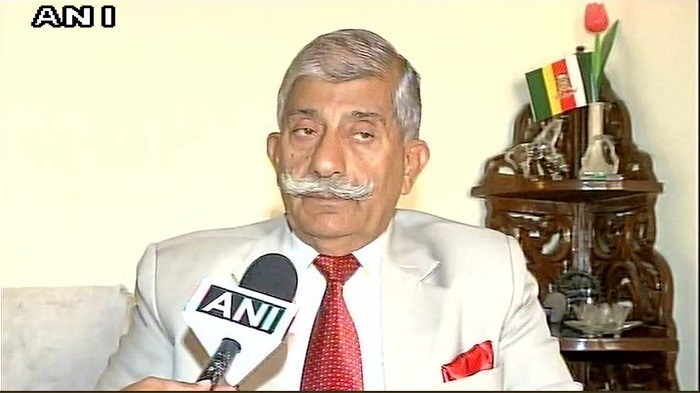 Brig (retd) Mishra, the former commander of NSG (black cat commandos) counter hi-jack task force, is best known for his valorous role in rescuing 124 passengers and crew members after the Indian Airlines flight was hijacked by terrorists at the Raja Sansi airfield on April 24, 1993. Prior to his role as the leader of NSG’s anti-hijack wing, Mishra served in various wars and military conflicts, including the 1962 Sino-Indian war and Indo-Pakistan military conflict in 1971, which led to the creation of Bangladesh. Government may hike basic minimum salary in January | Oneindia News There is confirmation that the same Union Cabinet that approved with the 7th Pay Commission recommendations will meet at the end of January to decide on the pay hike. This would mean that the basic minimum pay hike will be announced during the end of January. 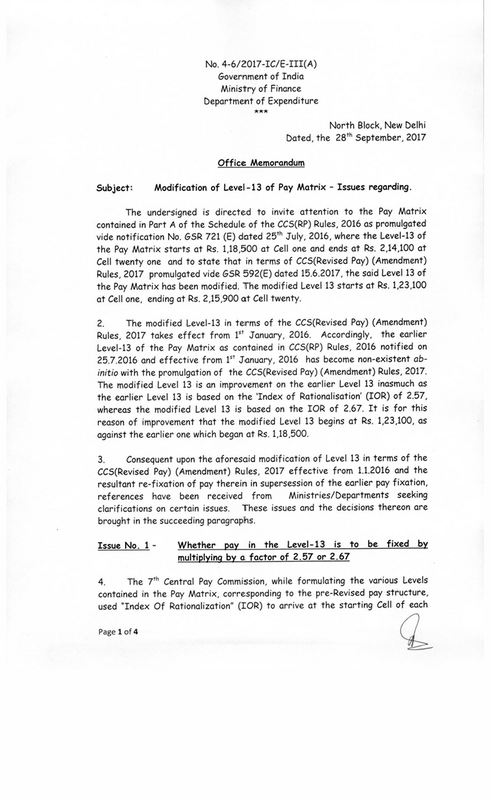 The commission had recommended the basic minimum pay to be at Rs 18,000 and this had angered and frustrated both the CG employees and pensioners. Although no official date has been given for the meeting date, sources indicate it would take place in the last week of January. The Cabinet is meeting to clear the proposal made by the National Anomaly Committee. The NAC is set to meet in October to decide on the pay hike. It would suggest that the fitment factor be risen from 2.57 to 3 times. This would make the minimum salary Rs 21,000 as opposed to the existing Rs 18,000. Central government employees have been demanding that their basic pay is hiked. Within the NAC, the thinking is that the basic pay should be hiked from Rs 18,000 to Rs 21,000. 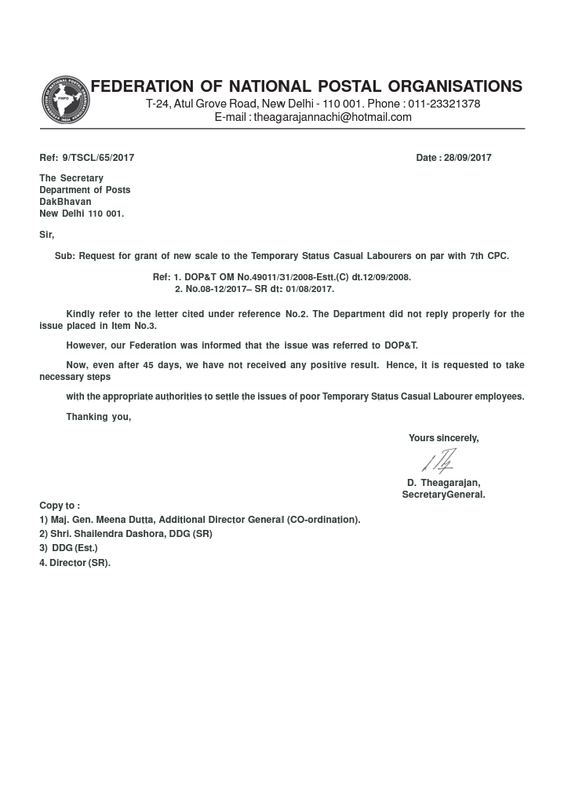 The CG employees however feel that the hike should be at Rs 26,000. The NAC however would have two choices. It could either hike the basic pay to Rs 26,000 or grant Rs 21,000 with arrears. If the basic pay is hiked to Rs 21,000, then the employees would demand arrears from January 2016 onwards. For now, the government feels that the pay hike would be effective starting January 2017 and there would be no arrears. With the unions pushing hard, the NAC would be compelled to give one of the following. Finance Minister Arun Jaitley has agreed that the basic minimum pay should go up. Facing flak for the shape that the economy is in, he would not want to anger 50 lakh CG employees. Many employees will thank him profusely, if he agrees to clear the NAC proposal to hike the basic minimum pay. Financial Express reports that Minimum pay of Rs. 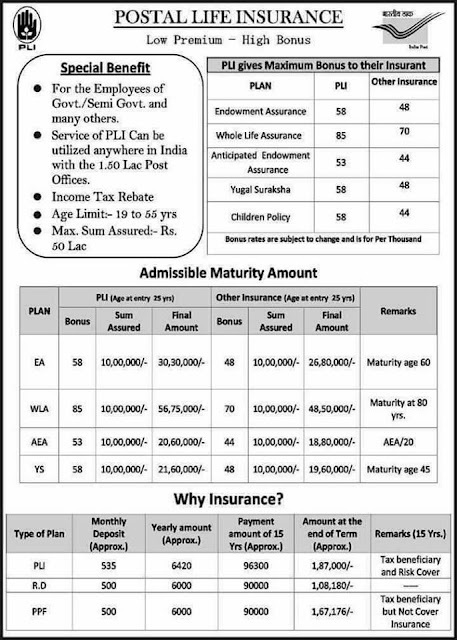 21,000 and Fitment Factor of 3.00 may be recommended by 7th CPC Anomaly Committee during the meeting fixed in October 2017. New Delhi, Sept 28: The National Anomaly Committee (NAC), formed to look into pay anomalies arising out of the implementation of the 7th Pay Commission’s recommendations, is unlikely to make major changes to pay hike except raising the fitment factor. Once the NAC submits its report on the recommendations of the 7th Pay Commission for the central government employees, Department of Expenditure will examine it. The government in June approved the 7th Pay Commission recommendations for its employees with higher minimum basic pay from Rs 7,000 to Rs 18,000 per month. However, the central government employees expressed displeasure over the hike in basic pay and asked to raise it to Rs 26,000 and fitment factor 3.68 times from 2.57 times. The 7th Pay Commission had recommended a 14.27 percent hike in basic pay — the lowest in 70 years. “The NAC will about to ditto the pay commission recommendation on the hike in pay, only the fitment factor for basic pay will be raised to 3.00 times, instead of the present 2.57 times as approved by the Cabinet on January 29,” a top Finance Ministry official was quoted as saying by Sen Times. The committee may also recommend raising minimum pay to Rs 21,000 from the existing Rs 18,000, under the 7th Pay Commission. 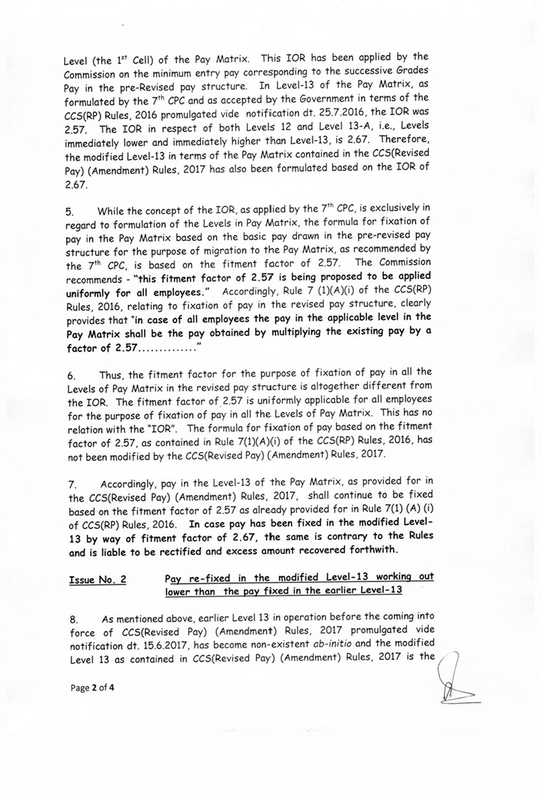 “After due hearing and by majority vote of all its stakeholders, the National Anomaly Committee will make minor changes in hike in pay for central government employees and may recommend hiking minimum pay Rs 21,000 with fitment factor 3.00 from Rs 18,000 with fitment factor 2.57,” he added. Sources in the Finance Ministry also said the government may release the higher minimum pay, under the 7th Pay Commission, from January next year for the central government employees and pensioners. “The Finance Ministry will hike the pay with raising fitment factor 3.00 times from 2.57 times, will be paid from January next year and minimum pay is likely to get hiked to Rs 21,000 from Rs 18,000,” they said. 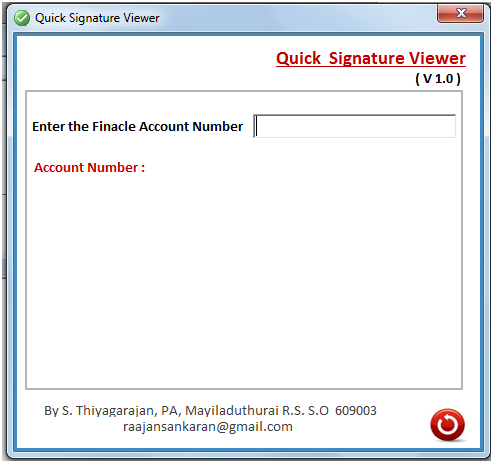 Now we are sending KYC to CPC for updating the Signatures in Finacle. Due to the Workload we are sending the KYC to CPC when the time permits. After sending the KYC to CPC, CPC may take several months to update the KYC in Finacle due to their large volume KYC handling. This Quick Signature Viewing Tool Version 1.0 will temporarily help us for viewing the Counter & Branch Office Signatures on the desk between the period KYC sending at P.O and Scanning at CPC. Use this tool @ your own risk. Please click below link to download the Signature Tool. 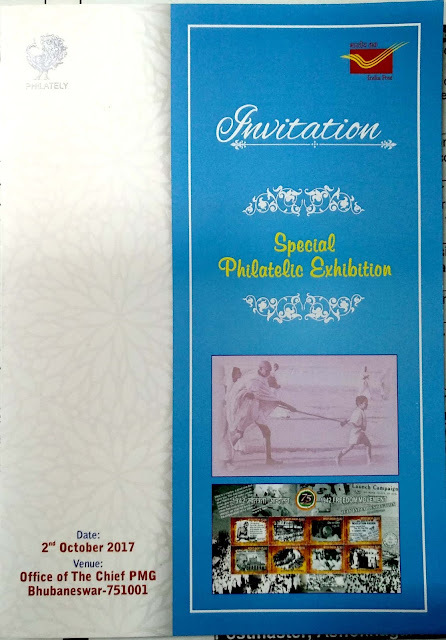 Mumbai: India Post Payments Bank (IPPB) will follow a business strategy of putting up payment platforms in the form of public infrastructure that can be used by all players. The bank has said that it would not enter into an exclusive deal with any participant. "Of the 11 payments banks that are licensed, we are the only one that is government-owned. There is a difference in terms of our business objective. 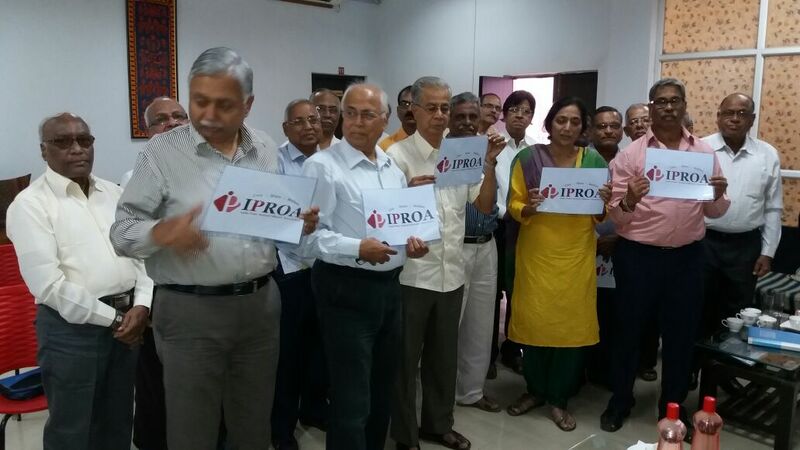 We do not seek profit but want to create public value," said A P Singh, CEO, IPPB. "We will be putting up payment infrastructure that can be used by all — banks, e-wallet companies, insurance companies. Basically, we will shun exclusivity and there will be no discrimination on anyone coming on our platform," said Singh. He was speaking at the Digital Money 2017 conference that marked 10 years of the digital payment industry. 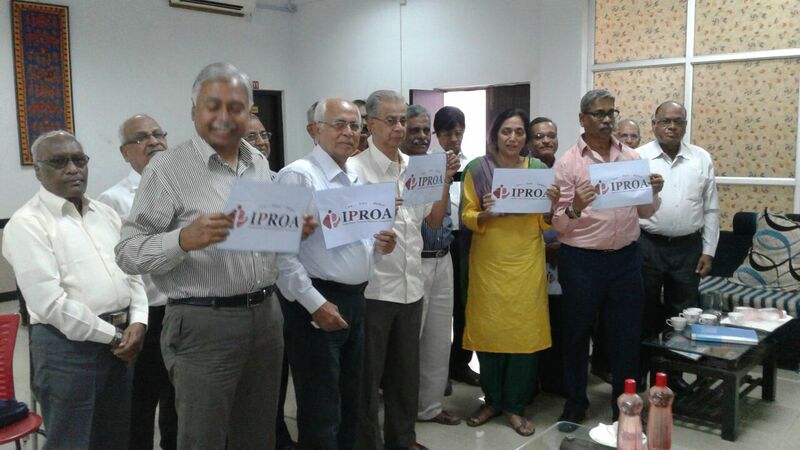 IPPB, which was launched in January, has opened eight access points — four in Jharkhand and four in Chhattisgarh. "Since, we are a post office and have a large customer base, acquiring customers is not a problem. But getting them to transact is a huge challenge," said Singh. He added that offering higher interest rates on savings was not working. 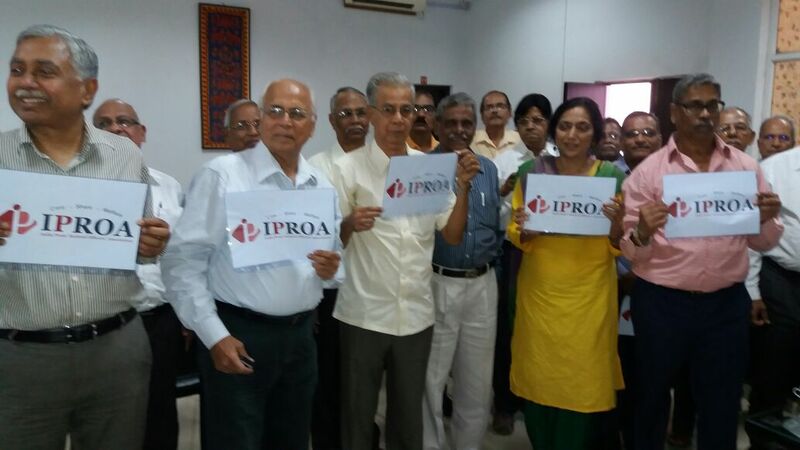 IPPB has started business with a paid up capital of Rs 125 crore from the government. It has also received Rs 375 crore as grant-in-aid according to the Output-Outcome Framework for Schemes 2017-18 for the department of posts. "The grant is to deepen and widen the market, not just for us but for everyone. 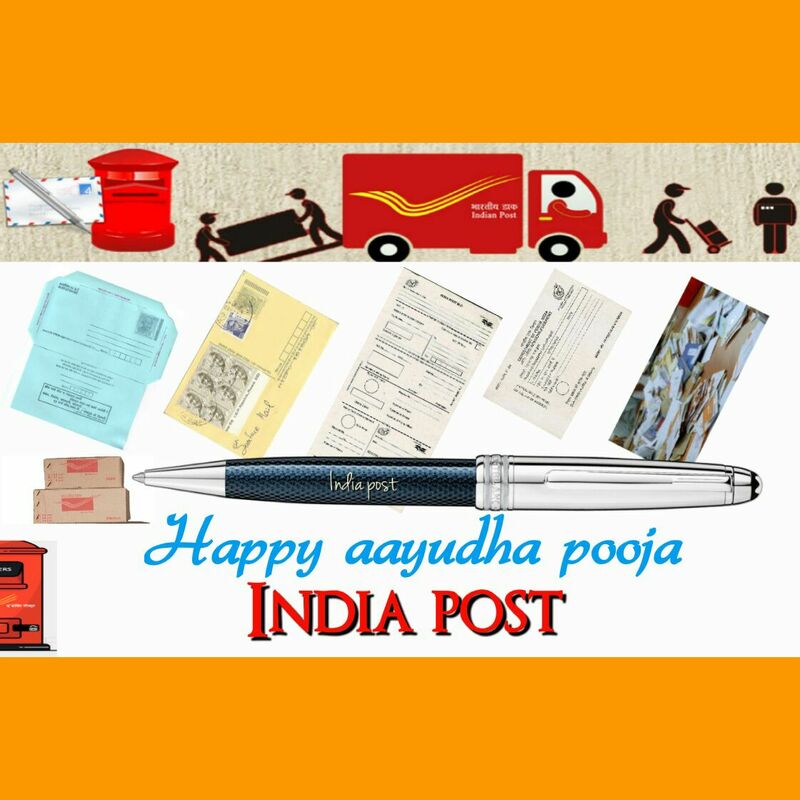 The postman will do assisted transactions and help self-service transactions," added Singh.Speaking at the summit Srikrishnan H, MD & CEO,Jio Payments Bank (a joint venture between Reliance Industries and SBI), said that the journey for digital finance through the e-wallet route did not seem to be valid any more and the stored value model is not holding good. Aditya Birla Idea Payments Bank MD & CEO Sudhakar Ramasubramanian said that although telco-promoted banks could get the size and scale, the challenge was to get customers to transact. "For payment banks, this is a daily labour model. 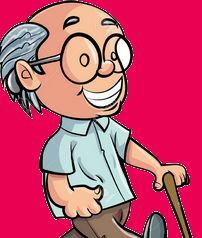 We do not have the advantage of annuity income that a 'spread' business brings," he added. 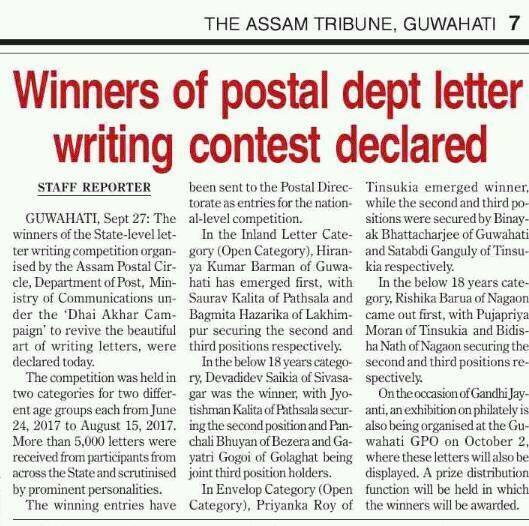 Under 18 category , Sri Devadidev Saikia, a class 8 student from KV, ONGC, Sivasagar secured First position in letter writing Competition. The basic minimum pay under the 7th Pay Commission is not sufficient for the Central Government employees, members of the National Anomaly Committee feel. 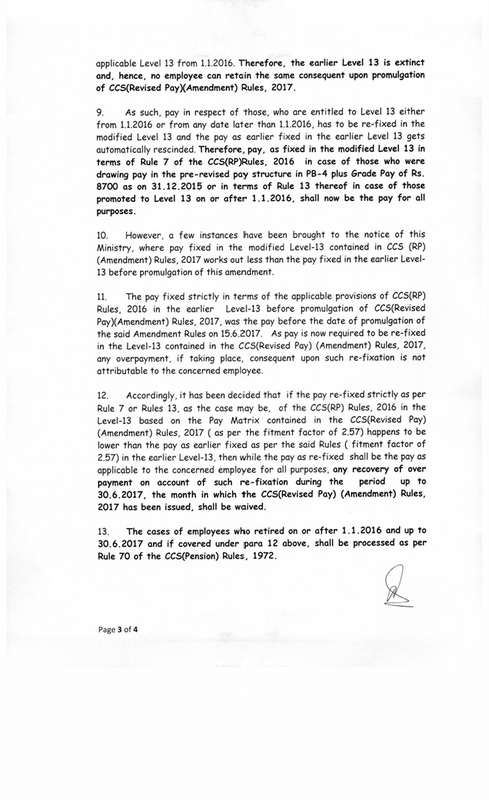 The commission had recommended the basic minimum pay to be at Rs 18,000 and this had angered and frustrated both the CG employees and pensioners. The NAC which is scheduled to meet next month would take into consideration the living standards of the CG employees. 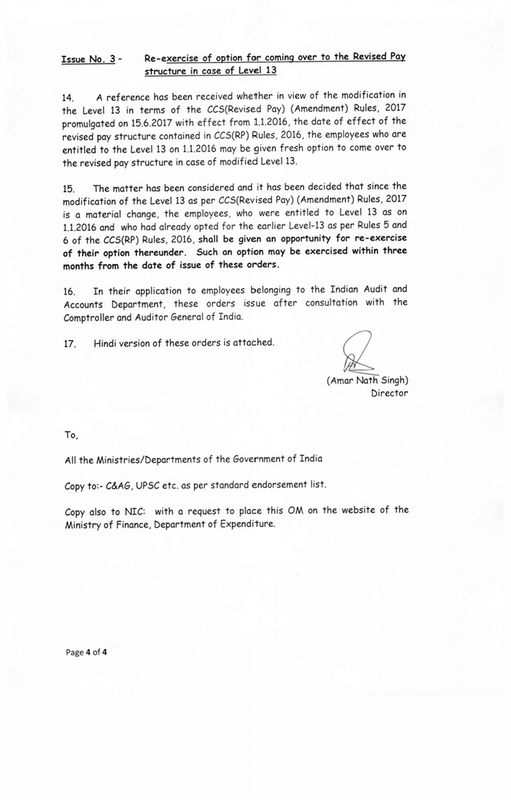 The feedback the NAC is getting is that the employees will not be able to manage with the existing pay. The prices are rising and with this minimum pay, it is becoming increasingly difficult to make two ends meet. Central government employees have been demanding that their basic pay is hiked. Within the NAC, the thinking is that the basic pay should be hiked from Rs 18,000 to Rs 21,000. 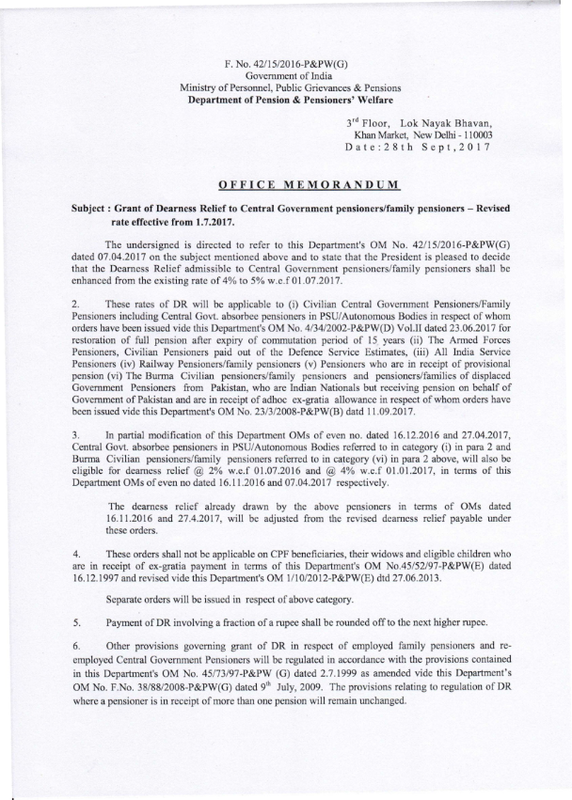 The CG employees however feel that the hike should be at Rs 26,000. The NAC however would have two choices. It could either hike the basic pay to Rs 26,000 or grant Rs 21,000 with arrears. If the basic pay is hiked to Rs 21,000, then the employees would demand arrears from January 2016 onwards. For now, the government feels that the pay hike would be effective starting January 2017 and there would be no arrears. With the unions pushing hard, the NAC would be compelled to give one of the following. Sources say that once the NAC gives its report, then it would be placed before the Department of Expenditure. 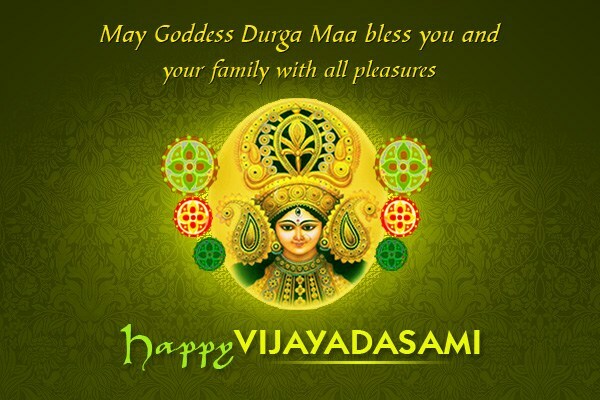 The DoE would then prepare a report and place it before the Union Cabinet in January. The Cabinet which had cleared the recommendations of the 7th Pay Commission is unlikely to interfere with what the NAC or DoE would submit. 26.09.2017 - UPU Director General Bishar A. Hussein has said that technology, the one single factor that has profoundly impacted the Post, must be harnessed to the sector’s advantage. “At the UPU, we believe that this can be done by using technology to address deficiencies in global supply chains,” said Hussein in his opening remarks to UPU World Postal Business Forum participants. He explained that while the uptake of the internet has accelerated mail substitution, it has also fuelled the growth of e-commerce, which is one of the greatest opportunities facing the sector. He noted that the Post’s adoption of technology would be critical to ensuring the cross-border transfer of e-commerce items. The annual UPU World Postal Business Forum brings together industry experts to discuss the latest trends, products, services, technologies and processes facing the postal sector. This year’s forum is focused on the global e-commerce supply chain. Experts from the UPU’s Postal Technology Centre, the Post and the private sector will take the stage, leading discussions under the theme, “Connecting the dots: e-commerce, technology and the postal network”. They will discuss the Post’s role in the global e-commerce value chain, overcoming customs-related challenges, e-commerce payment solutions and the impact of cloud and mobile technologies on the digital economy. The annual conference, which continues until tomorrow, is taking place at the POST-EXPO postal and parcel industry exhibition in Geneva. The UPU will also be available to answer any questions about its technical solutions between 26 to 28 September at its stand (#6095) in the POST-EXPO exhibition hall. How much black money did Arun Jaitley bring back? In Pakistan they ousted the PM due to his involvement in the Panama case. What have they done here, Sinha also asked. During my tenure as FM, there was never any discussion on inflation in Parliament. This is because we had kept it well under control, he also said. Earlier responding to a jibe by Arun Jaitley, Sinha said that had he applied for the job, Jaitley would not have had one. Jaitley had said that he did not have the luxury of being a former finance minister. This was in response to an article written by Sinha in which he attacked the FM for a slumping economy. 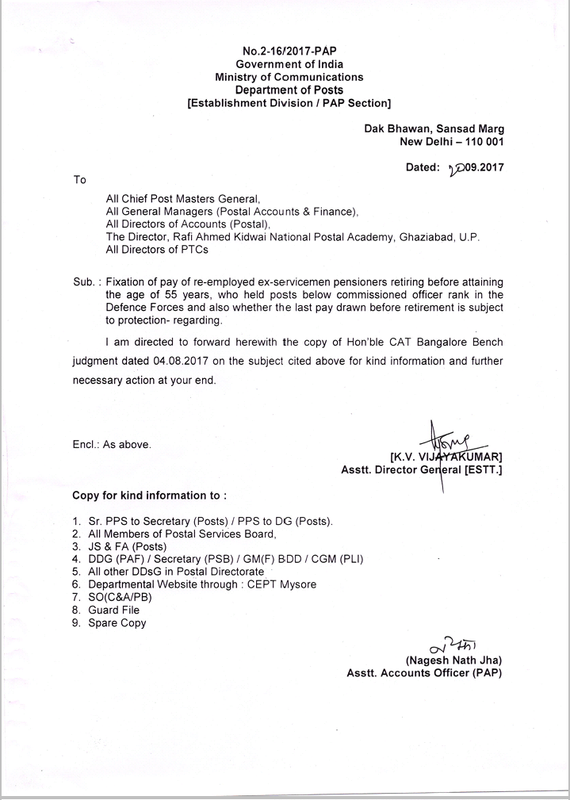 Fixation of pay of re- employed ex- servicemen pensioners retiring before attaining the age of 55 years : Department of Posts. The government is looking to address unemployment by ensuring that about 2 million vacancies at state and central level, including public sector enterprises, are filled. To begin, with it’s looking to fill vacancies in central ministries and 244 public sector enterprises, with the Indian Railways alone having more than 200,000 posts to be filled. The move, initiated by the labour ministry, will help ward off criticism about jobless growth. The ministry will assess vacancies in all central government departments and organisations and, based on the number, arrive at a plan that can be rolled out with timelines to fill posts on a daily, weekly and monthly basis, a senior government official told ET. Successive governments have put the brakes on hiring to curb administrative costs. The latest move, which will be rolled out over the next few months, will see a reversal in that trend at a time when the government is looking to keep its fiscal deficit on target. It is estimated that there are over 600,000 vacant central ministry posts and the exercise, if successful, could be replicated at the state level, which may lead to 2 million people getting employed. “Labour ministry will soon write to all ministries and CPSEs (central public sector enterprises) to share a list of vacancies across their division, following which it will set up a daily target for itself to provide employment to the large number of youth entering the workforce every year,” the official said. The exercise will help the Central government assess the total number of jobs that the government itself can provide on a daily and monthly basis. The government is under pressure to create jobs with about 1 million people said to be entering the workforce every month. Industry estimates that in FY12-16, India created 3.65 million new jobs a year. India had a workforce of 473.6 million in FY12. Of these, 230 million were in agriculture and 240 million in industry and services. The labour ministry is entering this area for the first time, to ensure that the government takes the first big step towards job creation. Traditionally, the ministry has acted as a facilitator between job seekers and job providers, for which it has set up a national career portal. Weblink Version 10 Released on 29.09.17 will check Sify connectivity and show alert. New links updated. NEW DELHI: After igniting a political firestorm+ with a column criticising the government's economic policy, the BJP's Yashwant Sinha on Thursday went even further by clearly absolving the earlier Congress-led UPA government for a slowdown in growth. "The economy is in decline. We can't blame the previous government, we had plenty of time and chances," said Sinha, when asked about his comments in the column he wrote, which appeared yesterday. Sinha said that the economy has been on the downswing for a while now, but "I did not speak". "I am not talking just based on one quarter's numbers, the economy has been falling for six straight quarters," said Sinha. The biggest culprit that made a bad situation near-catastrophic is demonetisation, said Sinha who had called the move "an unmitigated economic disaster" in his column. "The biggest culprit for growth slowing is the note ban. A thorough study should have been done on its effects to the economy, to jobs and it should have been introduced when the economy was in a healthy state, not in the manner it was introduced," said Sinha. As for GST, Sinha had written that its rollout was "badly conceived and poorly implemented". He reiterated that today. "After the demonetisation shocker, GST was another one. What was the need to hurry? They could have launched it in October," said Sinha. In his column, Sinha tore the government's economic policies to shreds and blasted finance minister Arun Jaitley. What was Sinha's picture of the Indian economy in his column? He explained in a tirade of a sentence. "Private investment has shrunk as never before in two decades, industrial production has all but collapsed, agriculture is in distress, construction industry, a big employer of the work force, is in the doldrums, the rest of the service sector is also in the slow lane, exports have dwindled, sector after sector of the economy is in distress, demonetisation has proved to be an unmitigated economic disaster, a badly conceived and poorly implemented GST has played havoc with businesses and sunk many of them and countless millions have lost their jobs with hardly any new opportunities coming the way of the new entrants to the labour market," wrote Sinha. A dazed BJP responded+ by launching Yashwant's son, Union minister Jayant Sinha into the battleground. GST – एक अक्टूबर से नए MRP पर बिकेंगे सभी सामान!